After last night’s Super Bowl feast, you may want to take it easy this week. And hey, it’s now February, which means it’s officially time to abandon your New Year’s resolutions. But just because you failed at going vegan and working out six days a week, it doesn’t mean that all hope is lost. There are easy ways to eat healthily and enjoy yourself in the city, and this week, that means veggie-spiked margaritas, a cauliflower steak sandwich, and a prix fixe menu that’s far lighter than most. Chelsea’s Cookshop is keen on local, sustainable eating, so it’s no surprise that the place is doing a weekly Meatless Monday menu, featuring three courses of health-bolstering grains and veggies. Last week’s menu included farro wheat pasta with fresh ricotta, kale, sage-pistachio pesto, and seasoned bread crumbs; stuffed savoy cabbage with bulghur wheat; and a vanilla ice-cream sandwich with an oatmeal fig cookie. 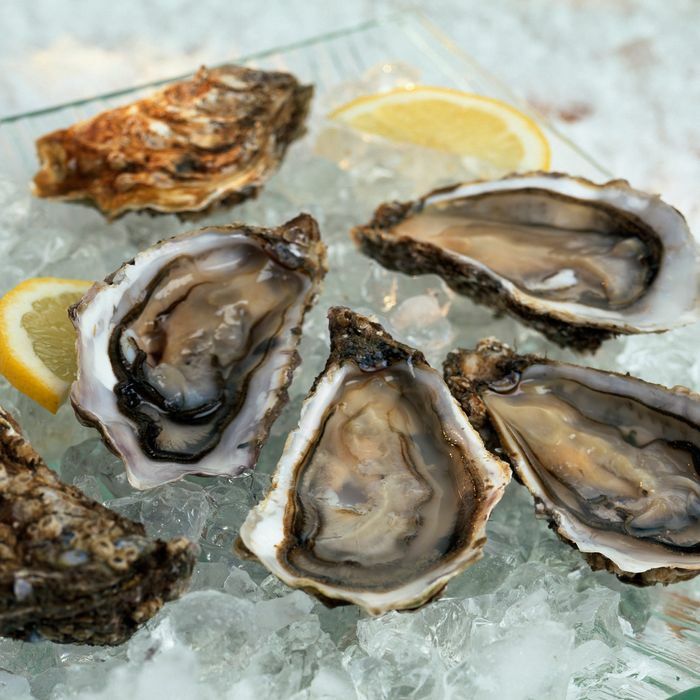 Aside from being the tastiest bivalve around (and, happily, a renewable resource), oysters are a fantastic source of vitamin B12, which is good for your nervous system. Starting today, you can get a half-dozen with a glass of beer or wine for a tenner at Hillside between 5:30 and 7:30 p.m. Happy hour indeed. The new Tribeca location of Peter Beck’s Benares has no shortage of good-for-you options, like vegetable patties with ginger, fennel, garlic, and cumin. Add the Tawa scallops with tomatillo, green chili, and mango-tomato relish, and you’ll have a meal that gives your taste buds and your bod a good kick. Walk to Avenue C for lunch to try the Wayland’s new sandwich joint, Animals. Top picks: the vegetarian Kitchen Sink sandwich, with pickled vegetables, queso fresco, and jalapeño pesto; a curried cauliflower steak sandwich with walnut paté; and one with braised chicken, garlic, apples, and chilies. In honor of February, Pulqueria has rolled out a themed cocktail that’s coincidentally good for your heart. The Corazon Sangrante Margarit blends tequila with blood orange (loaded with antioxidants) and beets. Not like you needed an excuse to have a drink on Friday night.